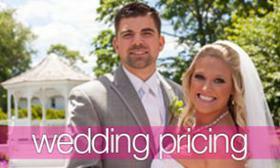 Top 20 Wedding Photo Check List! Congratulations, it's finally your wedding day! You have pushed through all the planning & months of preparation for this big day. 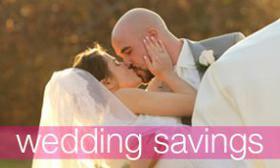 Relive your wedding day for years to come by capturing these once-in-a-lifetime moments for your wedding album. 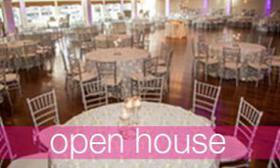 The Canoe Club Ballroom has listed 20 of the most important images for your wedding photo check list. 1. The Wedding Dress: Preserve the memory of the first time you laid your eyes on "The One"...your wedding dress that is! Take a still, full length photo to keep and share for years to come. 2. Getting Ready: We suggest capturing both sides of getting ready, which includes the men putting on their jackets and ladies doing their zippers. 3. 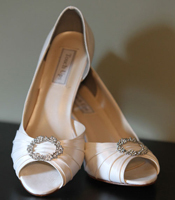 Shoe Shot: A cropped pic of just the bride and grooms shoes is a fun and creative picture. 4. Welcome Bags: With all the effort and planning you put into your welcome bags, you should be sure your photographer captures them before they're gone. 5. Bridal Shot: Capture the beauty that made your true love pop the question with a clear and elegant photo. 6. First Look: Have fun with the bride putting her hands over the groom’s eyes. 7. Other First Look: Your bridal party will be stunned to see you in your wedding dress. Relive the moment time and time again by snapping a photo at the perfect moment. 8. Pre-ceremony with Notes: This is one of the few personal moments the bride will have all day. This is a touching moment when the bride will be in her own world reading the vows. 9. Wedding Party Kids: If you have kids in your party, there may be a few pictures as cute as these. When they’re all grown up, it will be a touching memento. 10. Walking Down the Aisle: Capture the touching moment of being given away and walking down the aisle to be with your true love. 11. Groom standing at the Alter: Capture the anticipation of the groom waiting to see his bride for the first time in her wedding dress. It's a remarkable sight. 12. Far-away ceremony shot: Take in your ceremony from a point of view you'll never be able to see for yourself. Capture the entire ceremony from far away. 13. Couple Sharing Vows: Capture the expression of true love with a picture of the couple sharing vows. 14. 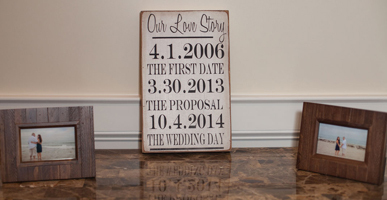 Cute Signs: Sporadic signs laid out throughout the wedding venue telling guests where to go is worth a picture or two. 15. Wedding Cake: The cake is such an iconic part of your wedding. Capture it’s elegance before it’s gone forever! 16. Food: Mouth-watering pictures of the food are a great way to relive the elegance and beauty of the meal. 17. Reception Tables: Capture the elegance of your reception venue while the settings are still clean and immaculate. 18. First Dance: You can only have one official first dance as bride and groom. Relive this magical moment forever with a photo of you in the arms of your true love. 19. Dancing: After the first dance, everything is fair game. Be sure to capture the memories of your family and friends on the dance floor. 20. The Farewell: Whether you are having a notable exit or just something low key, this is the perfect picture to place at the end of your album.